Parable - Chag Urim Sameach The Oil has never run out. May your Oil never run out. 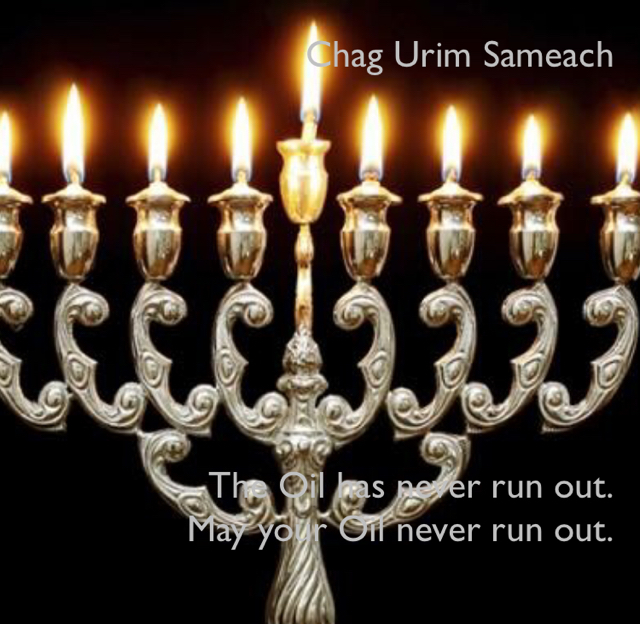 Chag Urim Sameach The Oil has never run out. May your oil never run out.